While everyone wishes to look their best, makeup can help achieve that. Makeup base applied strategically and seamlessly gives you a smooth and pore-less skin. There are face primers that are meant for the oily skin to make the skin look smoother by filling the pores, uneven surface of the skin and also acts as a base. All thanks to the Face primers that they can give you oil-free and large pores free skin. They cannot treat the pores but yes primers can seep in the pores in a way that they become invisible once you have finished applying foundation. 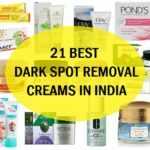 We guess that open pores is your primary problem along with the oiliness, therefore we also want you to go through our post on the best face wash for pores and oily skin and the top skin toners for oily skin and large pores. A primer is a base that is applied after you have cleansed the face and before applying the foundation. A good primer makes the foundation stick longer by improving the stay time of the foundation. It is one of the most important makeup products that must be used if you want your foundation to be as perfect as it was when freshly applied. Furthermore, such primers also help the makeup to glide easily for a seamless finish and application. There are several formulas of face primers like gel, mousse, cream etc. Depending on the skin type the type of primers can be chosen. 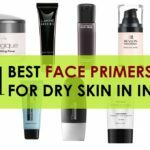 What Primers do for Pores and Oily skin? 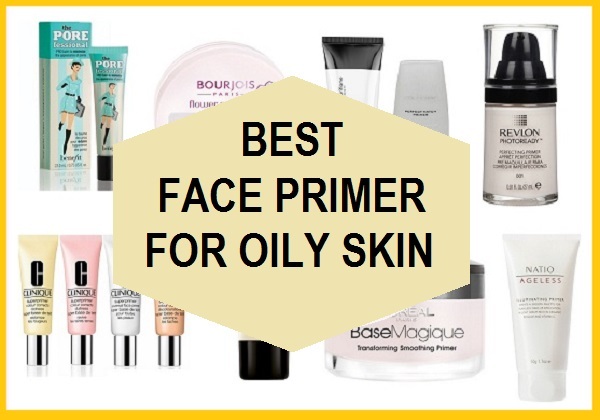 So, now that you know that, we are sure you will be using face primers for your oily skin. 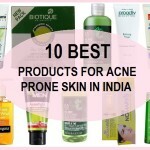 From the so many primer available in the Indian market, we have chosen the best primer for your oily skin and acne prone skin with large pores problem. This is one of the best primers available in the world. MAC is a big brand running in all over the world for many years. This primer is easy to use and gives a good base for the application of foundation and powder. It covers redness and spots and makes skin look clear and flawless. This primer is ideal for people having oily skin as settle on the skin and prevents greasiness for long hours. This primer gives an instant matte finish as it contains diamond powder for soft blur effect. It is gel based hence is best in summers to use. Lakme primer is one of the finest options for those who trust this brand. It gives soft blur look and enhances the glow of the skin. It also fills up the pores and gives clean and fresh looking face. It is an affordable primer for the skin with large pores. This primer prevents greasiness and smoothes out the uneven textured skin. It results in a flawless skin ready to put on makeup. Colorbar primer is really good for people having extremely oily skin. It also controls the oils for a lot longer. The NYX photo loving primer is also similar to this one but if you can’t have NYX then go for this one. This primer gives a long lasting finish and makes the skin even to put makeup on it. This primer comes in a travel friendly package. This primer comes with a 18 hour stay which prevents oil occurrence. It improves skin texture and gives a clear and smooth skin. This primer is good for pore filling as it makes the skin look clean and pore free. It instantly hides all the unevenness of your facial skin. The product is a drugstore product but works well for the oily skin and instantly covers the pores. This is a professional primer which hides rashes, redness and birth spots instantly. It is a base corrective that helps with makeup lasting. This primer for oily skin prevents acne and zits formulation as the makeup cannot be absorbed in the skin. This primer gives you a photo finish base and your skin looks spotless and wrinkle free. It is a foreign professional brand. 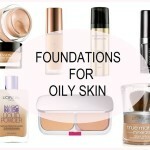 It is one of the best rated primer for oily skin that many makeup artists use for their clients. This primer does not only contains chemicals, but also mulberry and other natural extracts that help in making skin healthy and trouble free. It gives an instant base to the facial skin. This is a good primer for normal to oily skin people. This primer has an ability to control oil and makes skin smooth and clean. It gives a matte look and reduces the risk of makeup fall on the face. It is ideal for the summer season for oily-combination skin. This is the list of the best face primers for oily skin and for large open pores. Have you tired these? Which is the primer that you use for your oily skin? Did those primers help the large pores? How? Please share in the comments!